Kelly Elizabeth Beld lived with bipolar disorder and passed away in 2013. Her daughter Jillian created a beautiful sunset painting from the memories of spending time together with her mom on the beach. 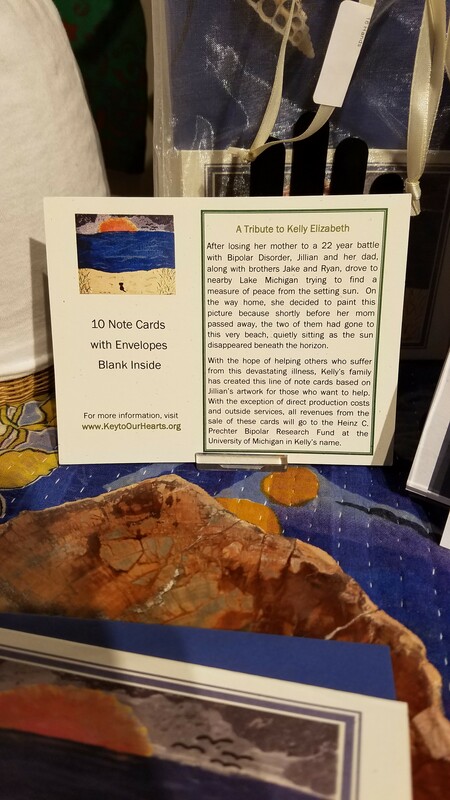 Kelly’s family created sets of cards featuring this painting to raise funds for bipolar disorder, a devastating illness that affects the whole family. Kelly’s family now works closely with the Heinz C. Prechter Bipolar Research Program at the University of Michigan, supporting its research mission to find answers to bipolar disorder and enabling patients to live happier lives. 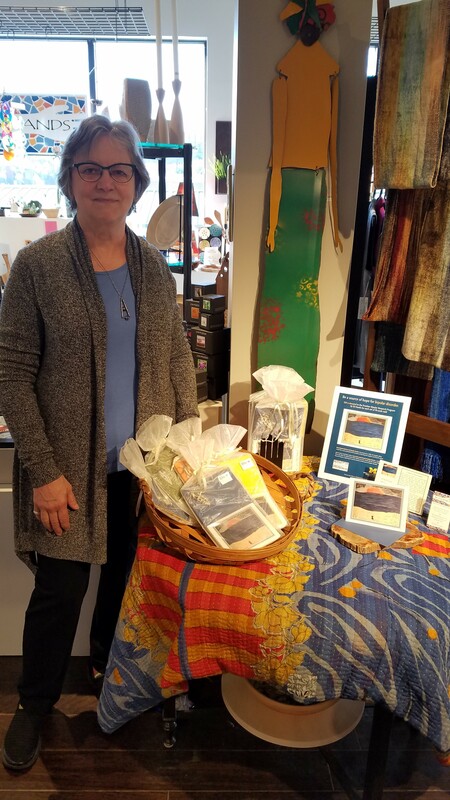 The cards are available at 16 Hands in Ann Arbor’s historic Kerrytown district. 16 Hands is a store that sells original, finely crafted objects of uncommon quality and character. The store began in 1975 as an artist collective of eight artists. It operated as a co-op for 13 years, exhibiting artwork by its members. Jill Damon eventually became sole owner. or on the store’s website. $10 is donated to the Prechter Bipolar Research Program by 16 Hands for each set of 10 cards sold.